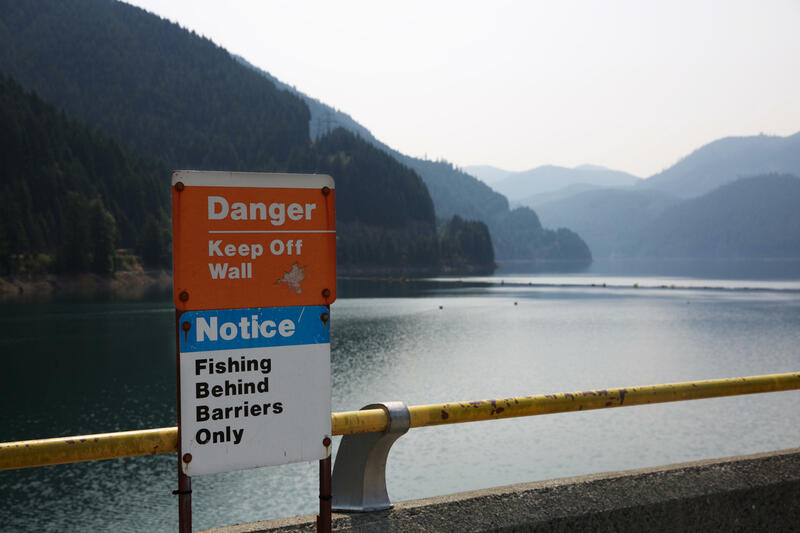 A toxic algae bloom in Oregon's Detroit Lake caused havoc in May, when toxins made their way into the city of Salem's drinking water. Oregon has since enacted rules requiring water systems to test for algae toxins. For the first time in Oregon's history, toxins from a nearby algae bloom had made their way into a city's tap water. The danger was limited — toxins were at low enough levels to only pose dangers to vulnerable populations, like children, pets, or nursing mothers. But the fallout was immediate. Within hours of the alert, Salemites had cleared grocery stores and gas stations of their bottled water supplies. Videos surfaced of some shopkeepers gouging shoppers: $48 for a case of water bottles, in one instance. Oregon Gov. Kate Brown sent in the National Guard to distribute water. Today, Oregon for the first time has rules largely unheard of in the United States. 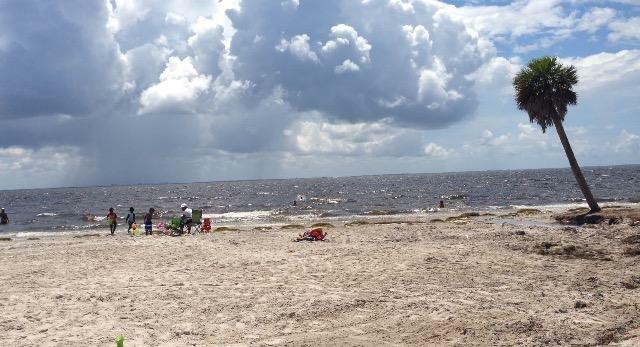 It's requiring public water suppliers to test for toxins from algae. Only Ohio has similar rules, enacted after a drinking water scare in the city of Toledo in 2014, but there's reason to believe more states will soon be following suit. As the climate warms, hazardous algae blooms are becoming more prevalent around the world. If ingested, cyanotoxins from these blooms can cause organ damage — even death. 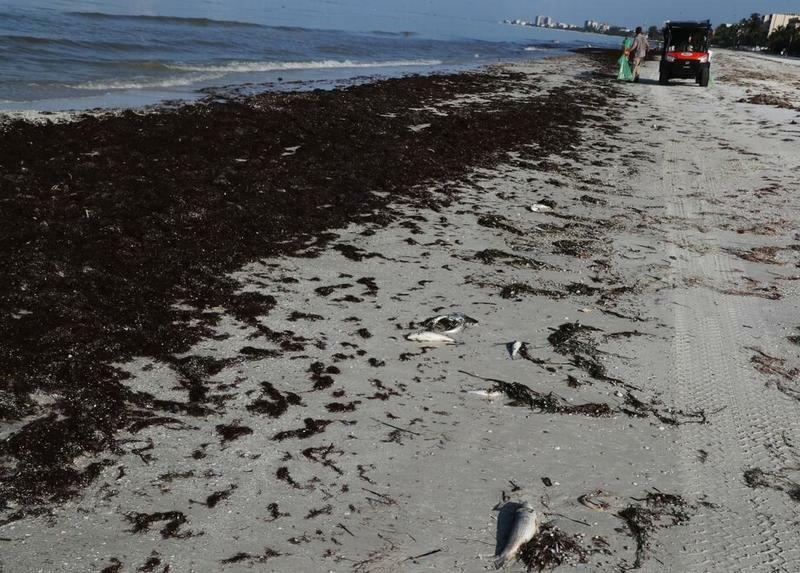 "Since the mid-2000s it's gotten worse, and the worst blooms on record have happened more or less in the last 10 years," says Dr. Steven Wilhelm, a University of Tennessee professor who has studied algae for two decades. Wilhelm is interested in the circumstances that lead harmful blooms to overtake a body of water — and why that seems to be happening more and more. A big piece of the puzzle is the pollutants that blue-green algae feeds on, but Wilhelm and others are convinced: Climate change is playing a part. "We definitely think there's a role for these warm seasons we have been seeing over the last few years," he says. "These so-called bad algae tend to do better at warmer temperatures." 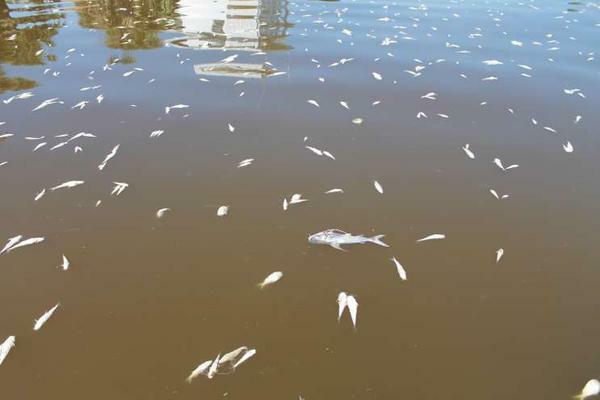 Algae has long posed a potential health threat to swimmers and boaters, who risk ingesting toxins while splashing around in a lake or river where a bloom is present. But more and more these days, health officials are grappling with the threat of algae to drinking water. "It's a concern in many states — especially states that pull water from surface waters that are contaminated with these," says Dr. Tim Davis, who studies harmful algae blooms at Bowling Green State University in Ohio. "The ability to provide clean drinking water is something people take for granted until they don't have it." Today, Rhode Island is considering new drinking water regulations for algae. New York state just announced a multi-million dollar effort to curb algae blooms, after toxins were found in drinking water two years ago. The U.S. Environmental Protection Agency will require water systems around the country to test for algae toxins in coming years. That could lead to permanent federal regulations. Wilhelm hopes the attention will lead to more awareness about the dangers of algae. To make his point, he mentions a name scientists gave decades ago to one especially troublesome algae toxin. The name? "Fast-death factor." "Which I think is kind of a cool name," Wilhelm says. "I try to encourage my colleagues to use it all the time because I think it will get more attention from politicians." In Salem, the algae that caused so much pandemonium originated 35 miles away, in a serene mountain reservoir known as Detroit Lake. The lake feeds the Santiam River, from which the city pulls its drinking water. And for nearly a century, Salem's low-tech sand filters were enough to ward off any concerns about algae. "We noticed algae back in 2010 and said, 'Hey we better start testing for it," says Peter Fernandez, Salem's public works director. "What was different this time... is we just had never seen it past the filter, into the finished water." Following the initial panic, Salem was under a drinking-water advisory for nearly a month while officials scrambled to address the issue. The solution they arrived at involves dumping enormous bags of powdered carbon into the unfinished water supply. The carbon binds with toxins, and helps to remove them. Fernandez compares this process to the Brita filter you might have in your fridge—if that filter cost roughly $2 million a year. And so far, it's working. Algae has persisted around Detroit Lake, but since the new system went live on July 4, Salem's water has been free of algae toxins. That's welcome news for Fernandez, but he also believes there's no going back. Algae season typically runs through September, but next year will bring another summer, and, with it, algae. "At this point we just assume that it's a fact of life," Fernandez says. "We can't sit back and say, 'Oh we wish it would go away.'" 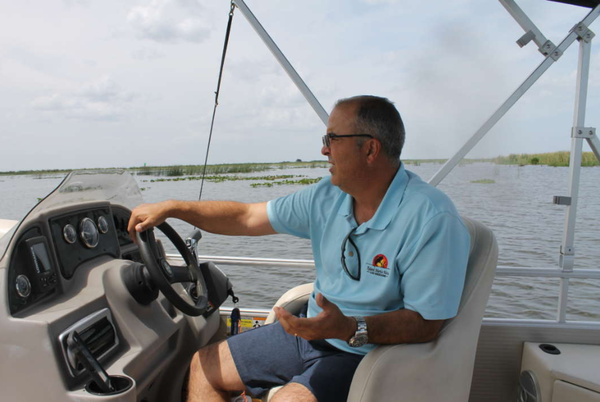 Troublesome blooms of algae in lakes and rivers have long-posed health risks for swimmers and boaters. Now in some areas, they're creating concerns for drinking water. That's what happened in Salem, Ore., where algae caused problems earlier this year. Oregon Public Broadcasting's Dirk VanderHart explains how the state has responded, and why it's not alone. DIRK VANDERHART, BYLINE: Oregon's Detroit Lake is beautiful, a mountain reservoir surrounded on all sides by steep tree-covered slopes. The lake is life in the tiny town of Detroit, Ore. But when a toxic algae bloom in the water causes health concerns, as it does many years, people tend to take it in stride. Here's Margaret Terry, a manager at one of the town's only motels. MARGARET TERRY: We've had people come and tell us, oh, we weren't worried about the algae. And, you know, as long as we came and took a bath, we felt fine and nobody got sick. VANDERHART: But that same algae just sent shock waves around Oregon. In May, toxins from a bloom at the lake made their way 35 miles downstream into the city of Salem's tap water. Pandemonium ensued, as reported on KPTV Portland. UNIDENTIFIED NEWSCASTER: A state of emergency has been declared for Marion and Polk Counties. The National Guard has also been called in to help. VANDERHART: In all, the city was under a drinking water warning for nearly a month. Because of the outcry, Oregon is now requiring water providers to test for harmful toxins from algae for the first time. Ohio has also enacted such rules, and chances are more states will soon follow suit. As the climate warms, hazardous algae blooms are becoming more prevalent around the world. If ingested, toxins from these blooms can cause organ damage, even death. VANDERHART: In Oregon, the Santiam River rushes down from Detroit Lake here to the secluded island where the city of Salem treats its water. For nearly a century, the low-tech sand filters Salem used worked great, says the city's public works director, Peter Fernandez. PETER FERNANDEZ: The source water has always been so pure, we just use the sand filters. VANDERHART: But in May, algae toxins overpowered the system. They made their way into the city's drinking water at levels high enough to jeopardize children and nursing mothers. To combat the problem, the city has begun dumping powdered carbon into the water. That binds with the toxins and helps to remove them. Fernandez compares the system to the Brita filter you might have in your fridge. Scientists say algae blooms like the one that plagued Salem have become more severe. STEVEN WILHELM: Since the mid-2000s, it's gotten worse. And the worst blooms on record have happened, more or less, in the last 10 years. VANDERHART: University of Tennessee professor Steven Wilhelm has studied algae for two decades. He's interested in the circumstances that lead harmful blooms to overtake a body of water and why that seems to be happening more and more. One of several reasons, he says - climate change. WILHELM: The so-called bad algae tend to do better at warmer temperatures. VANDERHART: Rhode Island is considering new drinking water regulations for algae. 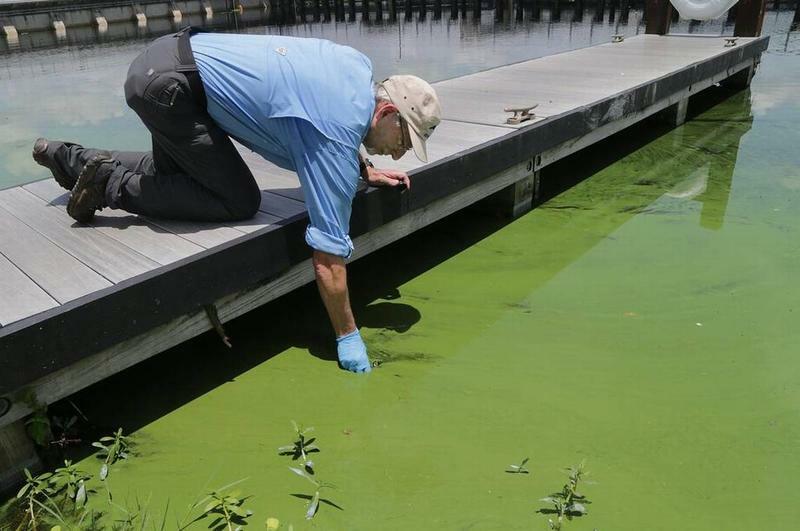 New York state just announced an effort to curb algae blooms. And the U.S. Environmental Protection Agency will require water systems around the country to test for algae toxins in coming years. Wilhelm hopes this attention will lead to more awareness about the dangers of algae. And to make his point, he mentions a name scientists gave decades ago to one especially troublesome algae toxin. The name - Fast Death Factor. WILHELM: I try to encourage my colleagues to use it all the time because I think it will get more attention from politicians. VANDERHART: In Salem, the problem certainly has Peter Fernandez's attention, and will for years to come. FERNANDEZ: At this point, we just assume that it's a fact of life. We can't sit back and say, oh, we wish it would go away. VANDERHART: The algae is still blooming around Detroit Lake. But since the new filtration system went into place in July, toxins haven't shown up in Salem's water. That Fast Death Factor, for now, is at bay. For NPR News, I'm Dirk VanderHart in Salem. Transcript provided by NPR, Copyright NPR.